Where has the week gone. I am so behind on everything it feels like. I can't seem to get back into my rhythm. Plus today is the last day of school for Ella then she has a 4 day weekend. I think that is throwing off me mentally too. I'm excited to have a fun weekend with her though. I am finally starting to feel "normal" again after my kidney stone, uti, and other issues. Now just to get back into the swing of things. 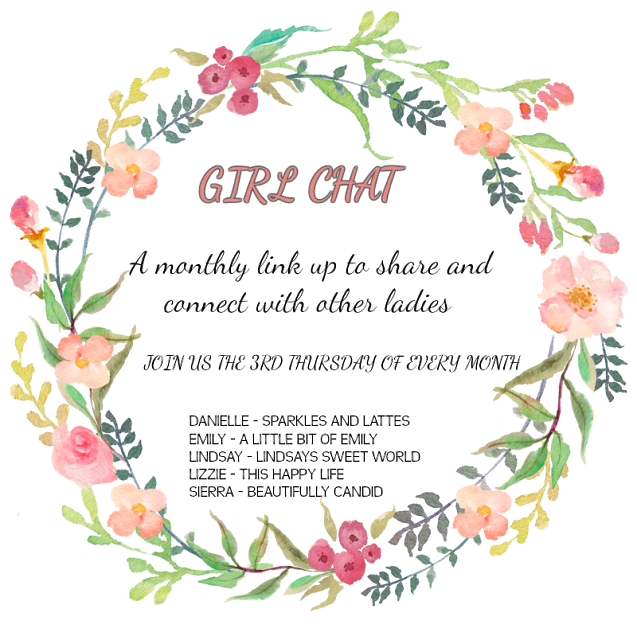 Speaking of which it is time for another Girl Chat: with Emily, Danielle, Lindsay, Lizzie, and Sierra. Today's Topic:Ways to Stay Organized. Last month we did Introductions. Normally I feel very organized in life, just not this week. One of the big ways I stay organized is with my routines. Without going into all the details of my morning I do have a routine I stick with. I have my alarms set, books ready to go, workout clothes set out, and water in the fridge. I get a lot done before Ella wakes up at 730. Then it is time to start getting her ready for her school day with deciding on a lunch, eating breakfast, and getting dressed. I have everything scheduled on my 3 calendars (dry erase board in the kitchen, paper calendar I take everywhere, and google calendar on my phone), I make sure to have all important things written down, like school parties, PTA events, Girl Scout meetings, Dr appts, etc. I also sync with Brian with what is planned. I am a very visual person and love lists. I have an on-going grocery list in the kitchen, our bucket list, plus daily to do lists. Knowing what's planned each meal is critical to making sure I stay on track with my health and fitness. I write out a weekly schedule for myself broken down into every snack, and meal with times included. This way I make sure I have everything i need and stay on track. The rest of the family only get their dinner decided for them each week. We try to stick to not making 3 different meals for who wants what. Starting next week Thursdays we will be eating dinner later due to Ella having gymnastics at our normal 5pm dinner time. I am planning on using this day as our Slow Cooker day so dinner will pretty much be ready when I get home. Friday's are normally pizza day, either home made or order out and sometimes the treat of going out to eat as a family. The first thing we do when Ella gets home from school is go through her book bag. She puts her lunch box in the sink and I go through the papers. Anything that needs signed I do right then and put it back into her folder. She doesn't normally have homework yet so that isn't a concern. All her assignments that she has done I go through, keep some for myself and give some to her father also. The kids then have playtime and I start making dinner. Ella is the only one who has a bedtime routine. She needs to be asleep by 830 or it is a struggle the following day with attitude and waking up. Between 745 and 8 she gets on her pj's and picks out a bedtime story. I lay down with her, read her a book or chapter, and I lay there and read on my kindle until she falls asleep. We are still working on her going to bed by herself which is a struggle for us since she has different living arrangements at her fathers. Austin doesn't have a set bedtime and is still a big struggle of getting on a routine. Anyone have any suggestions for a 2 yr old who doesn't like to sleep by himself who is already in a toddler bed. I hate cleaning, but it needs to get done. Everyday I do a little so it doesn't get overwhelming. Laundry is only done on Fridays (unless you need something special). Bed sheets are done the 1st of the month, bathroom deep cleaned on the 15th (opps I have to do that today still) I use to do a different room each day, but got out of the routine of it. I am thinking about getting back into it again. Everyday I have my to do list that I get done before Ella gets home from school and Brian gets home from work. I fit it in between spurts of playing with Austin too. Some days he is very independent and wants nothing to do with me, other days he just wants a playmate all day. 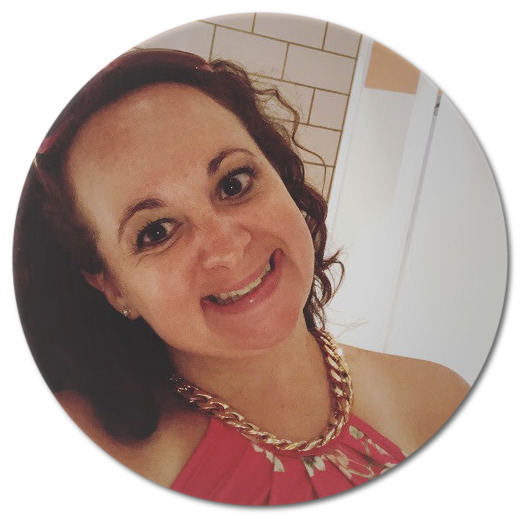 This list include my blog posts, readings, dishes, laundry, and house cleaning. This really is easier said than done but all the kids toys have their own place. Barbies go in a big tote, trains in another, art crafts on the table, ... Everything gets cleaned up at the end of the night. Ella is usually pretty good about putting something away before she gets something else out. Austin just likes to dump his blocks and leaves them but comes back to it 5 minutes later. On any given day my house looks "lived in" and you can tell I have kids, but I wouldn't want it any other way. There are so many other ways I try to stay organized but I think this is a good start. Hope this helps. Can't wait to see how everyone else stays organized. Everything has a place - YESSSS! It drives me NUTS when I can't figure out what to do with something. If something doesn't have a place then naturally it ends up on the kitchen counters and then those become too cluttered. Thank you for linking up with us today! I think having these routines are key to being organized and making life go a little bit smoother!